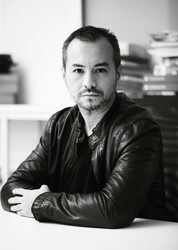 After graduating from the ENSCI (Paris) in 1995, Toan Nguyen pursued his training in Barcelona with Alberto Lievore and then moved to Milan in 1996 where, after a few years, he became head of Antonio Citterio’s design department. With him, for nearly ten years, he signed lines for many big companies.In 2009 he founded his own studio in Milan, subsequently embarking on a series of successful collaborations with several major brands in high-quality industry and fine craftmanship in Europe, North America, and Asia, on furniture, lighting, ceramics, as well as on technological products.For Toan Nguyen design is a discipline intimately bound up with the object, in the traditional sense of the term. 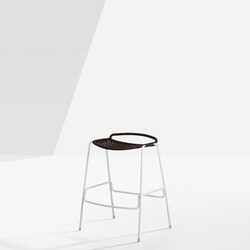 Priority is given to physical relationships with users—to their sitting, washing, lighting, etc. Displaying an immediate sense for meaningful utilization, precedence is accorded to intelligible forms and optimized manufacturing processes, without neglecting the sensuality of materials and the emotional impact of the object.